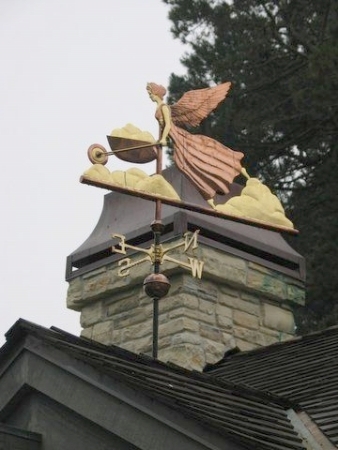 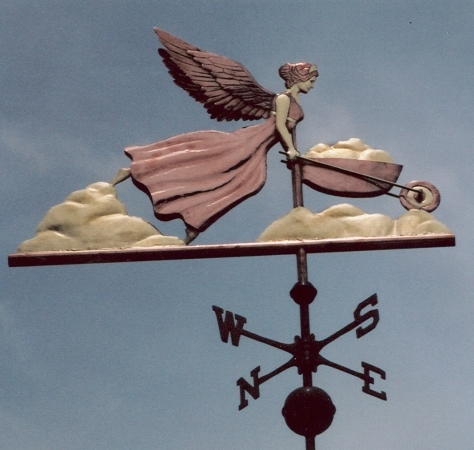 This Angel Weathervane in Cloud Garden is the fourth piece commissioned by one of our favorite customers. 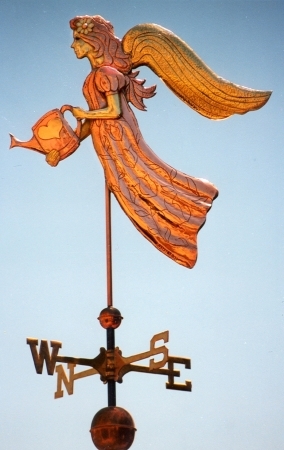 She is an avid gardener and likes our garden themed weather vane designs. 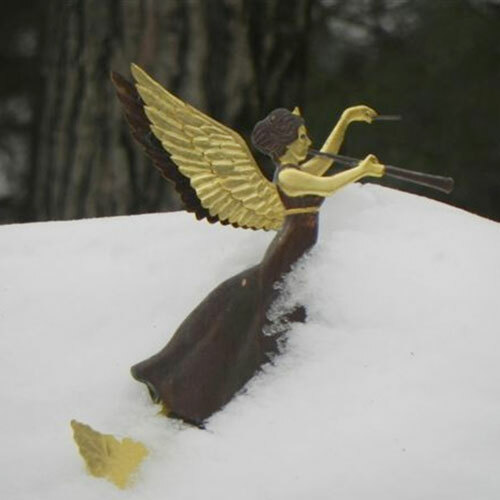 Because she already had one of our Gardening Angels we designed this angel tending a garden of clouds. 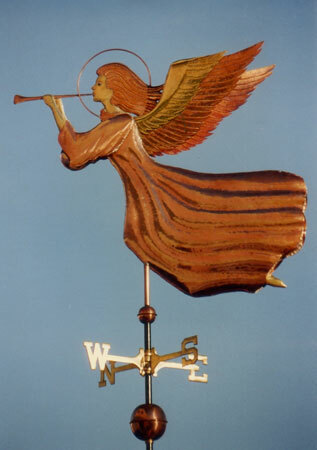 She chose optional gold leaf to highlight her angel’s face, arms and feet, in addition to the clouds. 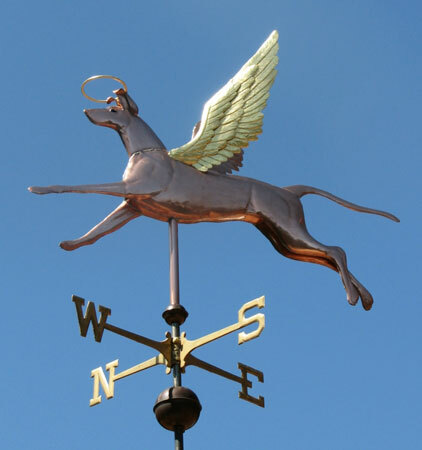 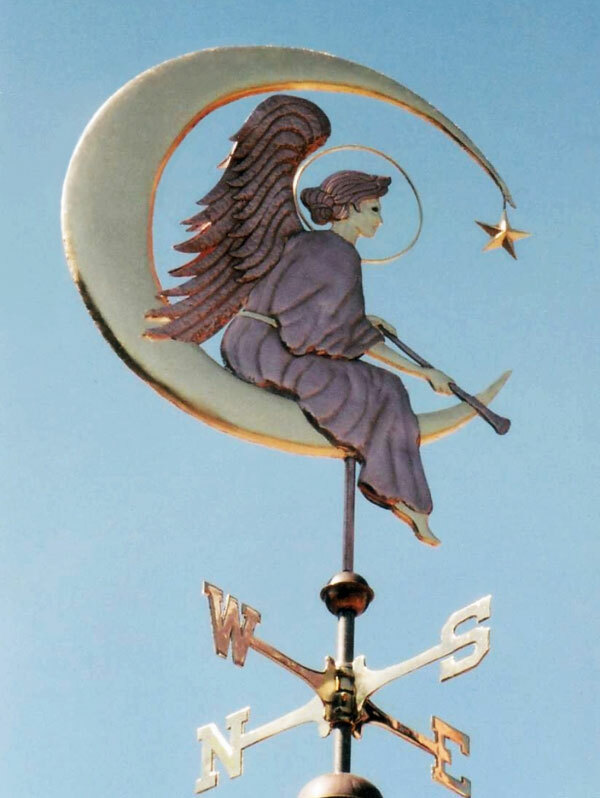 Because each Weathervane is made to order, we could also apply nickel silver or palladium leaf to make the clouds silver. 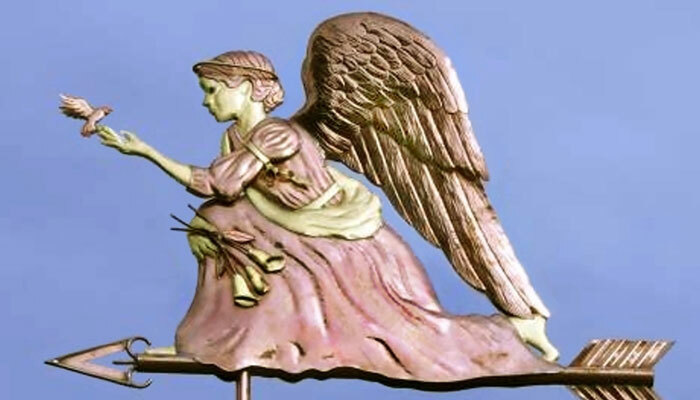 The angel featured here has emerald eyes but we have a selection of colored glass eyes from which you can choose. 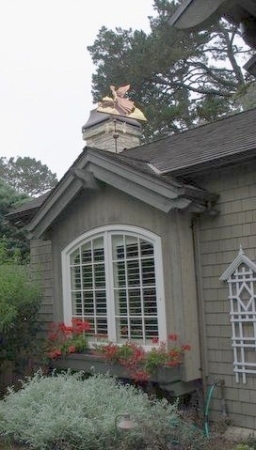 She sent us the house shots above and commented on how much she loves the way her large size angel appears and is scaled on the roof of her new home. 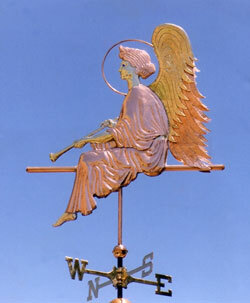 Our custom copper angel weathervanes are part of our larger series of mythological weathervane designs that also feature Dragon Weathervanes, Mermaid Weathervanes and over 50 other mythological weathervane designs. 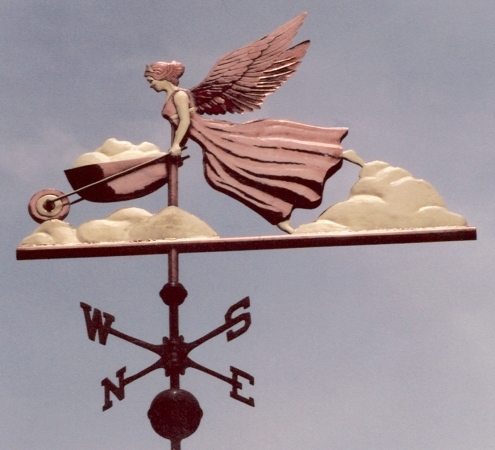 They are fun to explore.